The incredible shrinking writer is a major twentieth-century prose artist who…can be placed in that comic tradition [that] runs form Gogol through Kafka and down to José Saramago…When Walser met Lenin in Zurich during the war, all he had to say was ‘So you, too, like fruitcake?’…It is remarkable to see what variety and richness, what easiness and charm, what winsome inanities and philosophical depths he could pack into half a page. 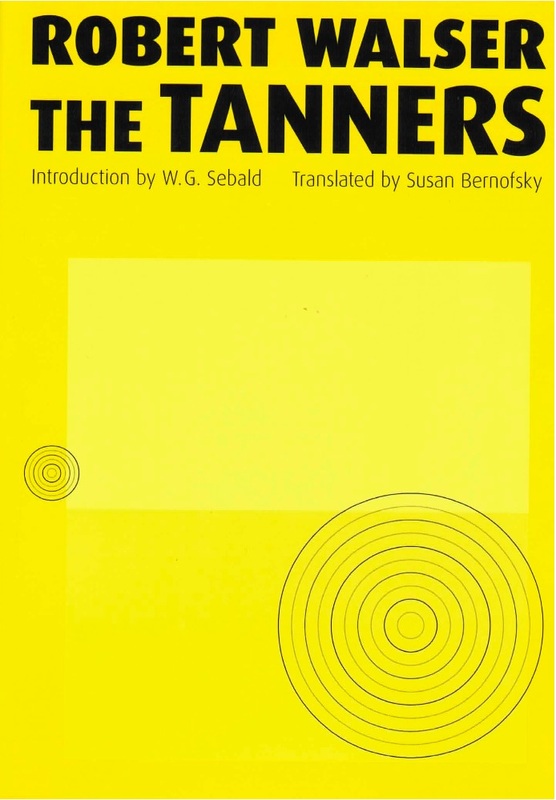 The Tanners, Robert Walser’s amazing 1907 novel of twenty chapters, is now presented in English for the very first time, by the award-winning translator Susan Bernofsky. Three brothers and a sister comprise the Tanner family — Simon, Kaspar, Klaus, and Hedwig: their wanderings, meetings, separations, quarrels, romances, employment and lack of employment over the course of a year or two are the threads from which Walser weaves his airy, strange and brightly gorgeous fabric. “Walser’s lightness is lighter than light,” as Tom Whalen said in Bookforum: “buoyant up to and beyond belief, terrifyingly light.” Robert Walser — admired greatly by Kafka, Musil, and Walter Benjamin — is a radiantly original author. He has been acclaimed “unforgettable, heart-rending” (J.M. Coetzee), “a bewitched genius” (Newsweek), and “a major, truly wonderful, heart-breaking writer” (Susan Sontag). Considering Walser’s “perfect and serene oddity,” Michael Hofmann in The London Review of Books remarked on the “Buster Keaton-like indomitably sad cheerfulness [that is] most hilariously disturbing.” The Los Angeles Times called him “the dreamy confectionary snowflake of German language fiction. He also might be the single most underrated writer of the 20th century… The gait of his language is quieter than a kitten’s.” “A clairvoyant of the small” W. G. Sebald calls Robert Walser, one of his favorite writers in the world, in his acutely beautiful, personal, and long introduction, studded with his signature use of photographs.